Posted by rogerhollander in Barack Obama, Economic Crisis. Then, at another meeting, Summers said it again: What would Goldman think? A shocked Stiglitz, then Chairman of the President’s Council of Economic Advisors, told me he’d turned to Summers, and asked if Summers thought it appropriate to decide US economic policy based on “what Goldman thought.” As opposed to say, the facts, or say, the needs of the American public, you know, all that stuff that we heard in Cabinet meetings on The West Wing. Summers looked at Stiglitz like Stiglitz was some kind of naive fool who’d read too many civics books. On Sunday afternoon, facing a revolt by his own party’s senators, Obama dumped Larry as likely replacement for Ben Bernanke as Chairman of the Federal Reserve Board. But the fact that Obama even tried to shove Summers down the planet’s throat tells us more about Obama than Summers—and whom Obama works for. Hint: You aren’t one of them. All these Cabinet discussions back in the 1990s requiring the blessing of Goldman Sachs revolved around the Rubin-Summers idea of ending regulation of the US banking system. To free the US economy, Summers argued, all you’d have to do is allow commercial banks to bet government-guaranteed savings on new “derivatives products,” let banks sell high-risk sub-prime mortgage securities and cut their reserves against losses. Stiglitz, who would go on to win the Nobel Prize in Economics, tried to tell them exactly what would go wrong. But when he tried, he was replaced and exiled. Summers did more than ask Rubin to channel the spirit of Goldman: Summers secretly called and met with Goldman’s new CEO at the time, Jon Corzine, to plan out the planet’s financial deregulation. I’m not guessing: I have the confidential memo to Summers reminding him to call Corzine. Summers, as Treasury official, can call any banker he damn well pleases. But not secretly. And absolutely not to scheme over details of policies that could make a bank billions. And Goldman did make billions on those plans. Goldman also cashed in big on the implosion of Greece’s debt via secret derivatives trades permitted by Summers’ decriminalization of such cross-border financial gaming. 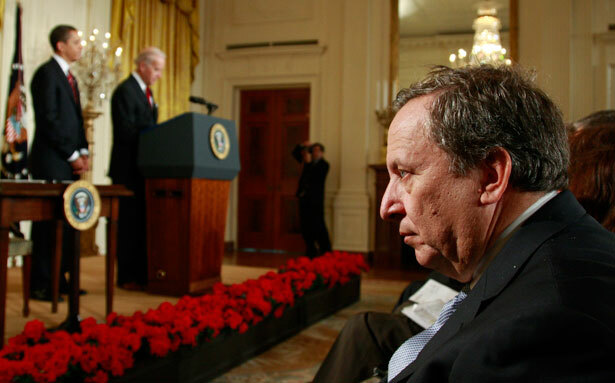 The collapse of the euro-zone and the US mortgage market caused by Bankers Gone Wild was made possible only by Treasury Secretary Summers lobbying for the Commodities Futures Modernization Act which banned regulators from controlling the 100,000% increase in derivatives assets, especially super-risky “naked” credit-default swaps. The CMFA was the financial equivalent of a fire department banning smoke alarms. Other banks-turned-casinos followed Citi into insolvency. Most got bail-outs … and got Larry Summers–or, at least, Larry’s lips for “consulting” or for gold-plated speaking gigs. Derivatives trader D.E. Shaw paid Summers $5 million for a couple of years of “part-time” work. This added to payments from Citigroup, Goldman and other finance houses, raising the net worth of this once penurious professor to more than $31 million. In 2009, Summers, Daddy of the Deregulation Disaster, returned to the Cabinet in triumph. Barack Obama crowned him “Economics Tsar,” allowing Summers to run the Treasury without having to be questioned by Congress in a formal confirmation hearing. As Economics Tsar in Obama’s first term, did Summers redeem himself? In 2008, both Democrat Hillary Clinton and Republican John McCain called for using the $300 billion remaining in the “bail-out’ fund for a foreclosure-blocking program identical to the one Franklin Roosevelt had used to pull the US out of the Great Depression. But Tsar Larry would have none of it, although banks had been given $400 billion from the same fund. Indeed, on the advice of Summers and his wee assistant, Treasury Secretary Tim Geithner, Obama spent only $7 billon of the $300 billion available to save US homeowners. As noted, Goldman and clients pocketed billions as a result of Obama’s abandonment of 3.9 million families whose homes were repossessed during his first term. While American homeowners were drowning, Tsar Summers torpedoed their lifeboat: a plan to prevent foreclosures by forcing banks to write-off the overcharges in predatory sub-prime mortgages. Notably, Summers’ action (and Obama’s inaction) saved Citibank billions. The deregulation disaster machinery is not done with mangling Americans. While not-for-profit credit unions, lenders of last resort for working people and the poor in the US, have been under legal and political attack, a new kind of banking operation has bubbled out of the minds of the grifters looking for a way to make loan-sharking legit. One new outfit, for example, called “Lending Club,” has figured out a way to collect fees for arranging loans charging as much as 29%. Lending Club claims it cannot and should not be regulated by the Federal Reserve or other banking police. The recent addition to its Board of Directors: Larry Summers. If you want to know why Obama would choose such a grifter and gamer to head the Fed, you have to ask, Who picked Obama? Ten years ago, Barry Obama was a nothing, a State Senator from the South Side of Chicago. But then, he got lucky. A local bank, Superior, was shut down by regulators for mortgage shenanigans ripping off Black folk. The bank’s Chairwoman, Penny Pritzker was so angry at regulators, she decided to eliminate them: and that required a new President. The billionaires connected Obama to Jamie Dimon of J.P. Morgan, but most importantly to Robert Rubin, former Treasury Secretary, but most important, former CEO of Goldman Sachs and mentor of Larry Summers. Without Rubin’s blessing and overwhelming fundraising power, Obama would still be arguing over zoning on Halsted Street. Rubin picked Obama and Obama picks whom Rubin picks for him. Because, in the end, Obama knows he must choose a Fed chief based on the answer to one question: What would Goldman think? Special thanks to expert Lori Wallach of Public Citizen without whom our investigation could not have begun. For the complete story of the investigation of Larry Summers, the “End Game” memo and the finance crisis, see Palast’s highly acclaimed book Vultures’ Picnic. Get a signed hardbound copy and support our work with a tax-deductible contribution of $50. Also visit the Palast Investigative Fund’s store or simply make a tax-deductible contribution to keep our work alive! Greg Palast is also the author of the New York Times bestsellers, Billionaires & Ballot Bandits, The Best Democracy Money Can Buy and Armed Madhouse. Copyright © 2013 Greg Palast, All rights reserved. Posted by rogerhollander in Democracy, Economic Crisis. On December 21, 2000, President Bill Clinton signed a bill called the Commodities Futures Modernization Act. This law ensured that derivatives could not be regulated, setting the stage for the financial crisis. Just two months later, on February 5, 2001, Clinton received $125,000 from Morgan Stanley, in the form of a payment for a speech Clinton gave for the company in New York City. A few weeks later, Credit Suisse also hired Clinton for a speech, at a $125,000 speaking fee, also in New York. It turns out, Bill Clinton could make a lot of money, for not very much work. Today, Clinton is worth something on the order of $80 million (probably much more, but we don’t really know), and these speeches have become a lucrative and consistent revenue stream for his family. Clinton spends his time offering policy advice, writing books, stumping for political candidates, and running a global foundation. He’s now a vegan. He makes money from books. But the speaking fee money stream keeps coming in, year after year, in larger and larger amounts. Most activists and political operatives are under a delusion about American politics, which goes as follows. Politicians will do *anything* to get reelected, and they will pander, beg, borrow, lie, cheat and steal, just to stay in office. It’s all about their job. This is 100% wrong. The dirty secret of American politics is that, for most politicians, getting elected is just not that important. What matters is post-election employment. It’s all about staying in the elite political class, which means being respected in a dense network of corporate-funded think tanks, high-powered law firms, banks, defense contractors, prestigious universities, and corporations. If you run a campaign based on populist themes, that’s a threat to your post-election employment prospects. This is why rising Democratic star and Newark Mayor Corey Booker reacted so strongly against criticism of private equity – he’s looking out for a potential client after his political career is over, or perhaps, during interludes between offices. Running as a vague populist is manageable, as long as you’re lying to voters. If you actually go after powerful interests while in office, then you better win, because if you don’t, you’ll have basically nowhere to go. And if you lose, but you were a team player, then you’ll have plenty of money and opportunity. The most lucrative scenario is to win and be a team player, which is what Bill and Hillary Clinton did. 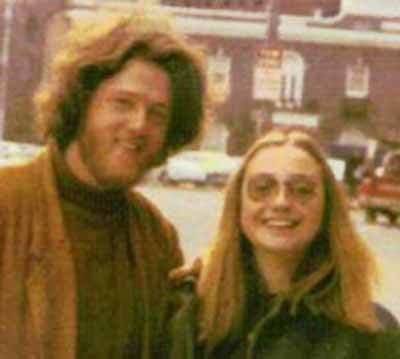 The Clinton’s are the best at the political game – it’s not a coincidence that deregulation accelerated in the late 1990s, as Clinton and his whole team began thinking about their post-Presidential prospects. Corruption used to be more overt. Lyndon Johnson made money while in office, by illicitly garnering lucrative FCC licenses. It was the first neoliberal President, Jimmy Carter, who began the post-career payoff trend in the Democratic Party. In 1978, Archer Daniels Midland CEO Dwayne Andreas convinced Carter to back ethanol subsidies. After Carter lost to Reagan, he faced financial problems, as his peanut warehouse had been mismanaged and was going bankrupt. AMD stepped in, overpaying for the property. But Carter wasn’t nearly as skilled as Clinton, because he didn’t stay in the club. Over the course of the next ten years after his Presidency, Clinton brought in roughly $8-10 million a year in speaking fees. In 2004, Clinton got $250,000 from Citigroup and $150,000 from Deutsche Bank. Goldman paid him $300,000 for two speeches, one in Paris. As the bubble peaked, in 2006, Clinton got $150,000 paydays each from Citigroup (twice), Lehman Brothers, the Mortgage Bankers Association, and the National Association of Realtors. In 2007, it was Goldman again, twice, Lehman, Citigroup, and Merrill Lynch. He didn’t just reap speaking fee cash from the financial services sector – corporate titans like Oracle and outsourcing specialist Cisco paid up, as did many Israel-focused groups, Middle Eastern interests, and universities. Does this explain the finance-friendly, oil-friendly and Israel First-friendly policies pursued by the State Department under Hillary Clinton? Who knows? But if you could legally deliver millions in cash to the husband of a high-level political official, it wouldn’t hurt your policy goals. Speaking fee money isn’t just money, it is easy money. In one appearance, for one hour, Clinton can make $125,000 to $500,000. At an hourly rate, that’s between $250 million to $1 billion annually. It isn’t the case that Clinton is a billionaire, but it is the case that Clinton can, whenever he wants, make money as quickly and as easily as a billionaire. He is awash in cash, and cash is useful. Cash finances his lifestyle. Cash helped backstop his wife’s Presidential campaign when it was on the ropes. And these speaking fees aren’t the only money Clinton got, it’s just the easiest cash to find because of disclosure laws. Apparently, Clinton’s firm apparently had a paid $100k+ a month consulting relationship with MF Global, and Clinton and Tony Blair have teamed up to help hedge funds raise money. His daughter worked for a giant hedge fund and political ally (Avenue Capital). And Clinton has unusual relationships with billionaires and Dubai-based investors. Bill and Hillary Clinton are the best at what they do, but they aren’t the only ones who do it. In fact, this is what politics is increasingly about, not elections, but staying in the club. Erskine Bowles, former White House Chief of Staff, lost two Senate elections. But he’s on the board of Facebook and Morgan Stanley, as well as authoring the highly influential Simpson-Bowles plan to gut Social Security and Medicare. Tom Daschle, who lost a Senate race in 2004, is a millionaire who in large part crafted Obama’s health care plan. Former Senator Judd Gregg is now at Goldman Sachs. Current Chicago Mayor Rahm Emanuel made $12 million in between his stint at the Clinton White House which ended in 2000 and his election to Congress in 2002. Former Congressman Harold Ford, now at Morgan Stanley, is routinely on TV making political claims. Larry Summers is on the board of the high-flying start-up Square. Meanwhile, Russ Feingold, a Senator who did go after Wall Street, is a professor in the Midwest. Eliot Spitzer is a struggling TV host and writer. In other words, Barack Obama and his franchise are emulating the Clinton’s, and are speaking not to voters, but to potential post-election patrons. That’s what their policy goals are organized around. So when you hear someone talking about how politicians just want to be reelected, roll your eyes. When you hear an argument about the best message or policy framework to use for reelection, stop listening. That’s not what politicians really care about. Elections in many ways are just like regular season games in basketball – they are worth winning, but it’s not worth risking an injury. The reason Obama won’t prosecute bankers, or run anything but a very mild sort of populism, is because he’s not really talking to voters. He just wants to be slightly more appealing than Romney. He’s really talking to the people who made Bill and Hillary Clinton a very wealthy couple, his future prospective clients. We don’t call it bribery, but that’s what it is. Bill Clinton made a lot of money when he signed the bill deregulating derivatives and repealed Glass-Steagall. The payout just came later, in the form of speaking fees from elite banks and their allies. Ironically, Clinton has come to express regret about deregulating derivatives. He has not given the money back. Posted by rogerhollander in Economic Crisis, Labor. A series of mind-boggling charts – and a handful of heartbreaking stories – document all you need to know about the current economy and what’s wrong with it. From Alternet. The productivity/wage chart says it all. From 1947 until the mid-1970s real wages and productivity (economic output per worker hour) danced together. Both climbed year after year as did our real standard of living. If you’re old enough, you will remember seeing your parents doing just a bit better each year, year after year. Then, our nation embarked on a grand economic experiment. Taxes were cut especially on the super-rich. Finance was deregulated and unions were crushed. Lo and behold, the two lines broke apart. Productivity continued to climb, but wages stalled and declined. So where did all that productivity money go? To the rich and to the super-rich, especially to those in finance. As women entered the workforce, family income made up for some of the wage stagnation. But now even family incomes are in trouble. Meanwhile, the incomes of the richest families continue to rise. To add financial insult to injury, the richest of the rich pay less and less each year as a percentage of their monstrous incomes. The top 400 taxpayers during the 1950s faced a 90 percent federal tax rate. By 1995 their effective tax rate – what they really paid after all deductions as a percent of all their income – fell to 30 percent. Now it’s barely 16 percent. When the rich become astronomically rich, they gamble with their excess money. And when Wall Street is deregulated, it creates financial casinos for the wealthy. When those casinos inevitably crash, we pay to cover the losses. The 2008 financial crash caused eight million American workers to lose their jobs in a matter of months due to no fault of their own. The last time we had so much money in the hands of so few was 1929! We bailed out the big Wall Street banks and protected the billionaires from ruin. Now we are being asked to make good on the debts they caused, while the super-rich get even richer, some making more than $2 million an HOUR! It would take over 47 years for the average family to make as much as the top 10 hedge fund managers make in one hour. Posted by rogerhollander in Economic Crisis. This phony debt crisis has now passed through the looking glass into the realm where madness reigns. What should have been an uneventful moment in which lawmakers make good on the nation’s contractual obligations has instead been seized upon by Republican hypocrites as a moment to settle ideological scores that have nothing to do with the debt. Hypocrites, because their radical free market ideology, and the resulting total deregulation of the financial markets, is what caused the debt to spiral out of control this last decade. That and the wars George W. Bush launched but didn’t have the integrity to responsibly finance. The consequence was a banking bubble and crash leading to a 50 percent run-up of the debt that has nothing to do with the “entitlements” that those same Republicans have always wanted to destroy. Even Barack Obama has put cuts in those programs into play, warning ominously that a failure to lift the debt ceiling could cause the government to stop sending out Social Security checks. Why, when the Social Security trust fund is fully funded for the next quarter-century and is owed money by the U.S. Treasury rather than the other way around? Why would we pay foreign creditors before American seniors? The answer, offered as conventional wisdom by leaders of both parties, is that we cannot endanger our credit by failing to back our bonds, even though the Republicans have aroused the alarm of the main U.S. credit rating agencies by their brinkmanship on the debt. What a topsy-turvy world when the same credit rating agencies that gave the thumbs up to the bankers’ toxic mortgage-backed securities and credit default swaps now threaten the AAA rating of U.S. Treasury bonds. According to them, it will not be enough to merely lift the debt ceiling—what had been assumed by both Republican and Democratic presidents to be a routine act. In addition to that, as the credit agency Standard & Poor’s has insisted, more than $4 trillion has to be cut from programs that mostly benefit the victims of the banking meltdown. Otherwise the agencies will downgrade the U.S. credit rating, leading to higher interest rates that will destroy what remains of the U.S. housing market, dim the prospect for any improvement in employment and further enrich the Chinese government and other holders of U.S. debt. President Obama and the Senate Democratic leadership are clearly poised to cave in to those demands in the spirit of “compromise,” Obama’s favorite word, but the Republicans keep upping the ante. The GOP is shameless: Speaker John Boehner has sanctimoniously responded to Obama’s plea for a bargain that gives up almost everything to the right wing by rebuffing the president on the grounds that the Republican Party is the last line of defense against big government. Boehner dared blame Obama for “the largest spending binge in American history,” which he attributed to the health care reform, most of which has yet to be enacted, and a stimulus program that was an underfunded effort to save American jobs. Not a word from Boehner or the other Republicans about the banking collapse that resulted from their deregulatory policies, the real cause of the inflated debt. Boehner’s slogan, “I’ve always believed, the bigger government, the smaller the people,” is downright bizarre coming from someone who supported the Bush tax cuts for the rich, the banking bailout and the highest war spending since World War II, all of which is what caused government to get this big. Was it job stimulus spending that kept GM jobs in this country that made people smaller, or the loss of their homes and jobs as a result of the policies that are at the core of the Republican program? But there is plenty of suffering to go around as a result of the deep recession. The wealth of whites in that period declined by 16 percent, not to mention the ever-greater chasm between the top 2 percent and everyone else. That’s the same 2 percent whose tax cuts the Republicans are determined to preserve. Robert Scheer is editor of Truthdig.com and a regular columnist for The San Francisco Chronicle. Posted by rogerhollander in Economic Crisis, Humor. I came across this amazing video while Googling Matt Taibbi, who in is own right is an amazing journalist, writes for Rolling Stone. Go to www.alternativeradio.org and order his amazing “Corruption: From Russia to Wall Street,” an address he gave in Boulder, Colorado. While you’re there, check out Robert Fisk, another incredibly incisive tell-it-like-it-is journalist. You won’t find this kind of reporting in the mainstream media. What’s up with Barack Obama? The candidate for change once promised to take on the powerful banking interests but is now doing their bidding. Finally, a leading Democrat, in this case Senate Banking Committee Chairman Chris Dodd, has a good idea for monitoring the Wall Street fat cats who all but destroyed the American economy, and the Obama administration condemns it. Dodd wants to take supervisory power from the Federal Reserve, which is controlled by the banks it pretends to monitor, and put it in the hands of a new independent agency. That makes sense given the Fed’s abject failure to properly monitor the financial sector over the past decade as that industry got drunk on greed. As Dodd’s spokeswoman Kirstin Brost put it: “The Federal Reserve flat out failed at supervising the largest, most complex firms.” But White House economic adviser Austan Goolsbee frets that taking power from the Fed would cause financial industry “nervousness.” Isn’t that the whole point of government regulation-to make the bandits look over their shoulders before they launch their next destructive scam? Not so in the view of Deputy Treasury Secretary Neal Wolin, who blithely insists that the Fed “is the best agency equipped for the task of supervising the largest, most complex firms,” despite the mountain of evidence to the contrary. There is some irony in the fact that the largest of those complex firms got to be “too big to fail” because of the radical deregulatory legislation that Wolin drafted during his previous incarnation as the Treasury Department’s general counsel in the Clinton administration. Wolin is now deputy to Timothy Geithner, who as head of the New York Fed in the five years preceding the banking meltdown looked the other way as the disaster began to unfold. Why is Barack Obama allowing these retreads from the Clinton era who went on to great riches on Wall Street to set economic policy for his administration? The fatal hallmark of this president’s financial policy is that it is being designed by the very people whose previous legislative efforts created the mess that enriched them while impoverishing the nation, and they now want more of the same. In the Clinton years, Wolin was general counsel to then-Treasury Secretary Lawrence Summers, the key architect of the radical deregulation that caused the recent banking collapse. Summers went off to work for hedge funds and banks that paid him $15 million in 2008 while he was advising Obama. Meanwhile, Wolin became general counsel for Hartford Insurance Corp., which had to be bailed out by the taxpayers because it took advantage of the radical deregulation that he helped write into law. Wolin, Geithner and Summers were all protégés of Robert Rubin, who, as Clinton’s treasury secretary, was the grand author of the strategy of freeing Wall Street firms from their Depression-era constraints. It was Wolin who, at Rubin’s behest, became a key force in drafting the Gramm-Leach-Bliley Act, which ended the barrier between investment and commercial banks and insurance companies, thus permitting the new financial behemoths to become too big to fail. Two stunning examples of such giants that had to be rescued with public funds are Citigroup bank, where Rubin went to “earn” $120 million after leaving the Clinton White House, and the Hartford Insurance Co., where Wolin landed after he left Treasury. Both Citigroup and Hartford would not have gotten into trouble were it not for the enabling legislation that the three Clinton officials pushed through while they were in power. But even with that law, had Geithner been on the case protecting the public interest while head of the New York Fed much of the damage could have been avoided. Thanks to the legislation that Wolin helped write, the limits preventing mergers between insurance companies and banks imposed during Franklin Roosevelt’s presidency was reversed. Hartford got into banking, and as The Washington Times observed in a scathing editorial, “Hartford … rushed to buy regulated savings and loans just so they could call themselves banks and qualify for government TARP funds.” Wolin collected his millions while the taxpayers were obliged to cover Hartford’s losses. It is depressing for a columnist who had great hopes for Obama to be forced by the facts to credit editors at the right-wing Washington Times for getting it right when they opined: “Revolving doors between industry and the administration and fat-cat political contributors getting bailed out at taxpayer expense sound like business as usual. This certainly isn’t change we can believe in.” Please, Mr. President, say it ain’t so. Lawrence H. Summers, one of President Obama’s top economic advisers, collected roughly $5.2 million in compensation from hedge fund D.E. Shaw over the past year and was paid more than $2.7 million in speaking fees by several troubled Wall Street firms and other organizations. . . .
Financial institutions including JP Morgan Chase, Citigroup, Goldman Sachs, Lehman Brothers and Merrill Lynch paid Summers for speaking appearances in 2008. Fees ranged from $45,000 for a Nov. 12 Merrill Lynch appearance to $135,000 for an April 16 visit to Goldman Sachs, according to his disclosure form. That’s $135,000 paid by Goldman Sachs to Summers — for a one-day visit. And the payment was made at a time — in April, 2008 — when everyone assumed that the next President would either be Barack Obama or Hillary Clinton and that Larry Summers would therefore become exactly what he now is: the most influential financial official in the U.S. Government (and the $45,000 Merrill Lynch payment came 8 days after Obama’s election). Goldman would not be able to make a one-day $135,000 payment to Summers now that he is Obama’s top economics adviser, but doing so a few months beforehand was obviously something about which neither parties felt any compunction. It’s basically an advanced bribe. And it’s paying off in spades. And none of it seemed to bother Obama in the slightest when he first strongly considered naming Summers as Treasury Secretary and then named him his top economics adviser instead (thereby avoiding the need for Senate confirmation), knowing that Summers would exert great influence in determining who benefited from the government’s response to the financial crisis. Last night, former Reagan-era S&L regulator and current University of Missouri Professor Bill Black was on Bill Moyers’ Journal and detailed the magnitude of what he called the on-going massive fraud, the role Tim Geithner played in it before being promoted to Treasury Secretary (where he continues to abet it), and — most amazingly of all — the crusade led by Alan Greenspan, former Goldman CEO Robert Rubin (Geithner’s mentor) and Larry Summers in the late 1990s to block the efforts of top regulators (especially Brooksley Born, head of the Commodities Futures Trading Commission) to regulate the exact financial derivatives market that became the principal cause of the global financial crisis. To get a sense for how deep and massive is the on-going fraud and the key role played in it by key Obama officials, I highly recommend watching that Black interview (it can be seen here and the transcript is here). As chairperson of the CFTC, Born advocated reining in the huge and growing market for financial derivatives. . . . One type of derivative—known as a credit-default swap—has been a key contributor to the economy’s recent unraveling. . .
Back in the 1990s, however, Born’s proposal stirred an almost visceral response from other regulators in the Clinton administration, as well as members of Congress and lobbyists. . . . But even the modest proposal got a vituperative response. The dozen or so large banks that wrote most of the OTC derivative contracts saw the move as a threat to a major profit center. Greenspan and his deregulation-minded brain trust saw no need to upset the status quo. The sheer act of contemplating regulation, they maintained, would cause widespread chaos in markets around the world. Born recalls taking a phone call from Lawrence Summers, then Rubin’s top deputy at the Treasury Department, complaining about the proposal, and mentioning that he was taking heat from industry lobbyists. . . . The debate came to a head April 21, 1998. In a Treasury Department meeting of a presidential working group that included Born and the other top regulators, Greenspan and Rubin took turns attempting to change her mind. Rubin took the lead, she recalls. She formally launched the proposal on May 7, and within hours, Greenspan, Rubin and Levitt issued a joint statement condemning Born and the CFTC, expressing “grave concern about this action and its possible consequences.” They announced a plan to ask for legislation to stop the CFTC in its tracks. Rubin, Summers and Greenspan succeeded in inducing Congress — funded, of course, by these same financial firms — to enact legislation blocking the CFTC from regulating these derivative markets. More amazingly still, the CFTC, headed back then by Born, is now headed by Obama appointee Gary Gensler, a former Goldman Sachs executive (naturally) who was as instrumental as anyone in blocking any regulations of those derivative markets (and then enriched himself by feeding on those unregulated markets). Just think about how this works. People like Rubin, Summers and Gensler shuffle back and forth from the public to the private sector and back again, repeatedly switching places with their GOP counterparts in this endless public/private sector looting. When in government, they ensure that the laws and regulations are written to redound directly to the benefit of a handful of Wall St. firms, literally abolishing all safeguards and allowing them to pillage and steal. Then, when out of government, they return to those very firms and collect millions upon millions of dollars, profits made possible by the laws and regulations they implemented when in government. Then, when their party returns to power, they return back to government, where they continue to use their influence to ensure that the oligarchical circle that rewards them so massively is protected and advanced. This corruption is so tawdry and transparent — and it has fueled and continues to fuel a fraud so enormous and destructive as to be unprecedented in both size and audacity — that it is mystifying that it is not provoking more mass public rage. The Obama administration is engineering its new bailout initiatives in a way that it believes will allow firms benefiting from the programs to avoid restrictions imposed by Congress, including limits on lavish executive pay, according to government officials. . . . The administration believes it can sidestep the rules because, in many cases, it has decided not to provide federal aid directly to financial companies, the sources said. Instead, the government has set up special entities that act as middlemen, channeling the bailout funds to the firms and, via this two-step process, stripping away the requirement that the restrictions be imposed, according to officials. . . . In one program, designed to restart small-business lending, President Obama’s officials are planning to set up a middleman called a special-purpose vehicle — a term made notorious during the Enron scandal — or another type of entity to evade the congressional mandates, sources familiar with the matter said. If that isn’t illegal, it is as close to it as one can get. And it is a blatant attempt by the White House to brush aside — circumvent and violate — the spirit if not the letter of Congressional restrictions on executive pay for TARP-receiving firms. It was Obama, in the wake of various scandals over profligate spending by TARP firms, who pretended to ride the wave of populist anger and to lead the way in demanding limits on compensation. And ever since his flamboyant announcement, Obama — adopting the same approach that seems to drive him in most other areas — has taken one step after the next to gut and render irrelevant the very compensation limits he publicly pretended to champion (thereafter dishonestly blaming Chris Dodd for doing so and virtually destroying Dodd’s political career). And the winners — as always — are the same Wall St. firms that caused the crisis in the first place while enriching and otherwise co-opting the very individuals Obama chose to be his top financial officials. Black: Geithner is charging, is covering up. Just like Paulson did before him. Geithner is publicly saying that it’s going to take $2 trillion — a trillion is a thousand billion — $2 trillion taxpayer dollars to deal with this problem. But they’re allowing all the banks to report that they’re not only solvent, but fully capitalized. Both statements can’t be true. It can’t be that they need $2 trillion, because they have masses losses, and that they’re fine. Moyers: What do you mean? Black: Well, Geithner has, was one of our nation’s top regulators, during the entire subprime scandal, that I just described. He took absolutely no effective action. He gave no warning. He did nothing in response to the FBI warning that there was an epidemic of fraud. All this pig in the poke stuff happened under him. So, in his phrase about legacy assets. Well he’s a failed legacy regulator. . . . The Great Depression, we said, “Hey, we have to learn the facts. What caused this disaster, so that we can take steps, like pass the Glass-Steagall law, that will prevent future disasters?” Where’s our investigation? What would happen if after a plane crashes, we said, “Oh, we don’t want to look in the past. We want to be forward looking. Many people might have been, you know, we don’t want to pass blame. No. We have a nonpartisan, skilled inquiry. We spend lots of money on, get really bright people. And we find out, to the best of our ability, what caused every single major plane crash in America. And because of that, aviation has an extraordinarily good safety record. We ought to follow the same policies in the financial sphere. We have to find out what caused the disasters, or we will keep reliving them. . . .
Moyers: Yeah. Are you saying that Timothy Geithner, the Secretary of the Treasury, and others in the administration, with the banks, are engaged in a cover up to keep us from knowing what went wrong? Black: Absolutely, because they are scared to death. . . . What we’re doing with — no, Treasury and both administrations. The Bush administration and now the Obama administration kept secret from us what was being done with AIG. AIG was being used secretly to bail out favored banks like UBS and like Goldman Sachs. Secretary Paulson’s firm, that he had come from being CEO. It got the largest amount of money. $12.9 billion. And they didn’t want us to know that. And it was only Congressional pressure, and not Congressional pressure, by the way, on Geithner, but Congressional pressure on AIG. Moyers: Even though Goldman Sachs had a big vested stake. Black: Massive stake. And even though he had just been CEO of Goldman Sachs before becoming Treasury Secretary. Now, in most stages in American history, that would be a scandal of such proportions that he wouldn’t be allowed in civilized society. Squeezing the oligarchs, though, is seldom the strategy of choice among emerging-market governments. Quite the contrary: at the outset of the crisis, the oligarchs are usually among the first to get extra help from the government, such as preferential access to foreign currency, or maybe a nice tax break, or—here’s a classic Kremlin bailout technique — the assumption of private debt obligations by the government. Under duress, generosity toward old friends takes many innovative forms. Meanwhile, needing to squeeze someone, most emerging-market governments look first to ordinary working folk—at least until the riots grow too large. . . .
As much as he campaigned against anything, Obama railed against precisely this sort of incestuous, profoundly corrupt control by narrow private interests of the Government, yet he has chosen to empower the very individuals who most embody that corruption. And the results are exactly what one would expect them to be. Copyright ©2009 Salon Media Group, Inc.
Glenn Greenwald was previously a constitutional law and civil rights litigator in New York. He is the author of the New York Times Bestselling book “How Would a Patriot Act?,” a critique of the Bush administration’s use of executive power, released in May 2006. His second book, “A Tragic Legacy“, examines the Bush legacy. Toxic schmoxic: The ABC news ticker in New York’s Times Square on March 23, a day when the Dow average surged nearly 500 points. The good news on the government’s “No Banker Left Behind” program is that according to the special inspector general’s report on Tuesday, the total handout to date is still less than 3 trillion dollars. It’s only 2.98 trillion to be precise, an amount six times greater than will be spent by federal, state and local governments this year on educating the 50 million American children in elementary and secondary schools. The bad news is that even greater amounts of money are to be thrown down what has to be the world record for rat holes. Where did the money go? Almost all of it went to the bankers and stockbrokers who got us into this mess by insisting that the complex-by-design derivatives they trafficked in should not be regulated by government since they were private transactions between consenting professionals. Sort of like a lap dance: If it doesn’t work out, that’s the problem of the parties involved and no concern of the government. For the government to intervene would have created “legal uncertainty” in the derivatives market, an argument that a Republican-dominated Congress and President Clinton bought in authorizing the Commodity Futures Modernization Act in December of 2000. That law brought “legal certainty” to the market, a phrase that Lawrence Summers, then Clinton’s secretary of the treasury and now Barack Obama’s top White House economics adviser, deployed incessantly as a calming mantra as the financial derivatives market swirled out of control. Now Summers and the other finance gurus who move so easily from Wall Street to Pennsylvania Avenue assure us that those professionals who made the toxic swap deals are too big to fail and must be entrusted with 3 trillion of our dollars to save themselves from disaster. And thanks to the laws they wrote, the bankers are likely to be covered for their socially destructive behavior by a get-out-of-jail-free card. How naive. The fraud no doubt has occurred and will occur again, but the exposure part is more questionable, if by that is meant bringing the criminals to account. As opposed to welfare cheats who end up imprisoned over scams that involve hundreds of dollars, these guys have brilliant lawyers who tell them how to steal legally when it comes to billions in fraud. But most likely the white-collar criminals, if they are high enough up the food chain, will not even be quizzed about their activities. As the independent Congressional Oversight Panel has reported, there has been no serious accounting of the bailout money. It took major pressure from a Congress reacting to an outraged public to discover that AIG, in addition to handing out hundreds of millions in bonuses to the very hustlers who created the firm’s swindles, was a conduit for at least $70 billion in taxpayer money to reimburse the banks and stockbrokers who got us into this crisis with their bad bets. No surprise there, given the incestuous world of finance, where the revolving doors between the Treasury Department, the Fed and executive offices in the industry have been swinging throughout both Republican and Democratic administrations. As a result, those orchestrating the bailout and those grabbing the money are for the most part friends and former colleagues, with enormous respect for each other but not for the American taxpayer and homeowner. Or for the autoworkers who had nothing to do with creating this problem but stand to lose their retiree health benefits and pensions if the Obama administration goes though with its threat to use bankruptcy to discharge GM and Chrysler from their obligations to their workers. Why float a company like AIG to the tune of $170 billion to keep that massive conglomerate from bankruptcy but balk at a much smaller commitment to keep GM solvent? The money involved in the auto bailout is chump change compared with what Wall Street got, and it is far better spent. As opposed to the financial high rollers richly rewarded for crawling in and out of balance sheets, the folks who crawl in and out of cars along an assembly line are left with permanent aching backs and hard-won health care and retirement plans about to disappear through their company’s bankruptcy. Where’s their bonus package? Professor Michael Hudson (CounterPunch, March 18) is correct that the orchestrated outrage over the $165 million AIG bonuses is a diversion from the thousand times greater theft from taxpayers of the approximately $200 billion “bailout” of AIG. Nevertheless, it is a diversion that serves an important purpose. It has taught an inattentive American public that the elites run the government in their own private interests. Yet, Obama’s White House economist, Larry Summers, on whose watch as Treasury Secretary in the Clinton administration financial deregulation got out of control, invoked the “sanctity of contracts” in defense of the AIG bonuses. But the Obama administration does not regard other contracts as sacred. Specifically: labor unions had to agree to give-backs in order for the auto companies to obtain federal help; CNN reports that “Veterans Affairs Secretary Eric Shinseki confirmed Tuesday [March 10] that the Obama administration is considering a controversial plan to make veterans pay for treatment of service-related injuries with private insurance” [ click here ]; the Washington Post reports that the Obama team has set its sights on downsizing Social Security and Medicare. After Washington’s trillion dollar bank bailouts and trillion dollar gratuitous wars for the sake of the military industry’s profits and Israeli territorial expansion, there is no money for Social Security and Medicare. The US government breaks its contracts with US citizens on a daily basis, but AIG’s bonus contracts are sacrosanct. The Social Security contract was broken when the government decided to tax 85% of the benefits. It was broken again when the Clinton administration rigged the inflation measure in order to beat retirees out of their cost-of-living adjustments. To have any real Medicare coverage, a person has to give up part of his Social Security check to pay Medicare Part B premium and then take out a private supplemental policy. The true cost of Medicare to beneficiaries is about $6,000 annually in premiums, plus deductibles and the Medicare tax if the person is still earning. Treasury Secretary Geithner, the fox in charge of the hen house, has resolved the problem for us. He is going to withhold $165 million (the amount of the AIG bonuses) from the next taxpayer payment to AIG of $30,000 million. If someone handed you $30,000 dollars, would you mind if they held back $165? PR flaks have rechristened the bonus payments “retention payments” necessary if AIG is to retain crucial employees. This lie was shot down by New York Attorney General Andrew Cuomo, who informed the House Committee on Financial Services that the payments went to members of AIG’s Financial Products subsidiary, “the unit of AIG that was principally responsible for the firm’s meltdown.” As for retention, Cuomo pointed out that ”numerous individuals who received large ‘retention’ bonuses are no longer at the firm” [click here ]. Goldman Sachs, for example, had already received a taxpayer cash infusion of $25 billion and was sitting on more than $100 billion in cash when the Wall Street firm received another $13 billion via the AIG bailout. Moreover, in my opinion, most of the billions of dollars in AIG counter-party payments were unnecessary. They represent gravy paid to firms that had made risk-free bets, the non-payment of which constituted no threat to financial solvency. Spitzer identifies a conflict of interest that could possibly be criminal self-dealing. According to reports, the AIG bailout decision involved Bush Treasury Secretary Henry Paulson, formerly of Goldman Sachs, Goldman Sachs CEO Lloyd Blankfein, Fed Chairman Ben Bernanke, and Timothy Geithner, former New York Federal Reserve president and currently Secretary of the Treasury. No doubt the incestuous relationships are the reason the original bailout deal had no oversight or transparency. The Bush/Obama bailouts require serious investigation. Were these bailouts necessary, or were they a scam, like “weapons of mass destruction,” used to advance a private agenda behind a wall of fear? Recently I heard Harvard Law professor Elizabeth Warren, a member of a congressional bailout oversight panel, say on NPR that the US has far too many banks. Out of the financial crisis, she said, should come consolidation with the financial sector consisting of a few mega-banks. Was the whole point of the bailout to supply taxpayer money for a program of financial concentration?